Do you use LinkedIn or SlideShare for your business? Did you know you can improve your SEO with these channels? 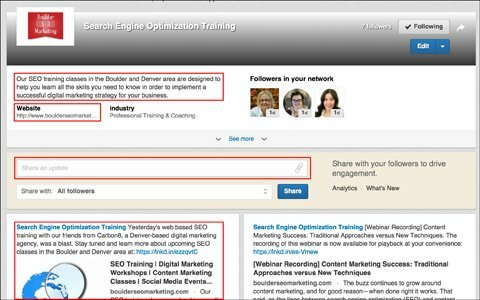 With a few simple techniques, you can optimize your LinkedIn and SlideShare assets to achieve higher search rankings organically. In this article you’ll discover four ways to optimize LinkedIn and SlideShare for search engines. Thanks to Chris Raulf for creating this article. 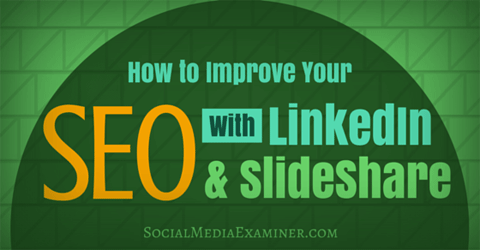 Discover how to improve your SEO with LinkedIn and SlideShare. Include your keywords in the Title, Description and Tags sections. Image: Shutterstock. List important keywords and phrases at the beginning of the description field. Include your top 10 to 15 keywords in the Specialties section. 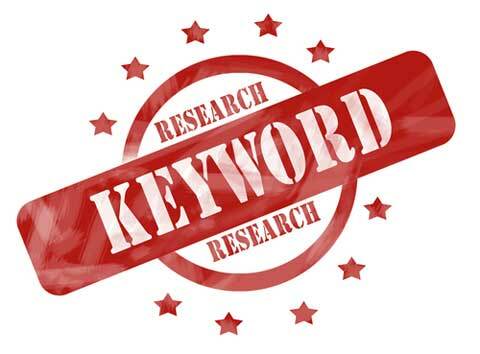 Include SEO keywords in your status updates. On your showcase page, use target keywords in your description and updates, and include a link to your website. When completing your profile, include a link to your website. Optimize your SlideShare account for search. 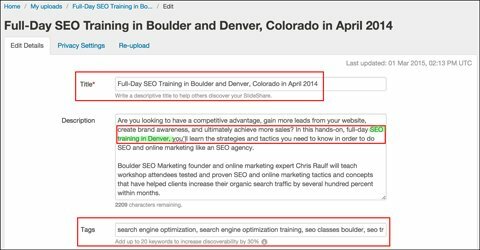 Similar to your LinkedIn company page, include your most important keywords at the beginning of the description, separated by an asterisk (*) or similar symbol. 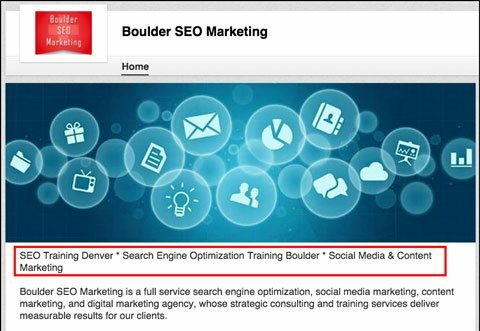 Include SEO keywords naturally throughout the company description. Although you’re optimizing your content for search engines, remember that humans are the ones who read it. 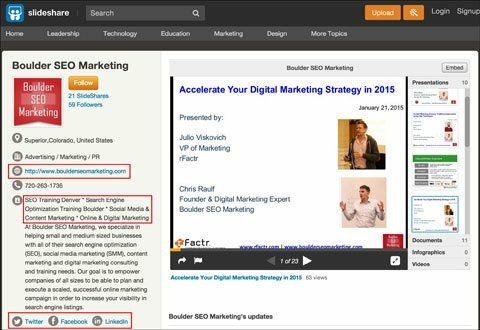 Link to your other social media profiles on SlideShare, and make it easy for search engines to make connections with your other digital assets. Here’s an example of how well SlideShare for search works. 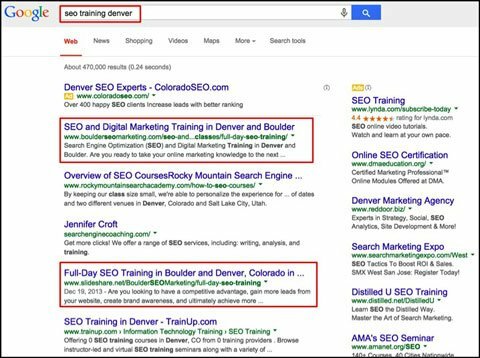 The image below shows a Google search result for “seo training denver.” Having your website listed in the top spot is great, but having multiple page-one listings on Google—such as a SlideShare presentation in position four—is even better and will generate nice referral traffic to your website. Multiple page-one listings in search results will generate referral traffic. Once again, include your target SEO keyword in the title. Title content is one of the most important ranking signals for Google, so take advantage of it. Include your main keyword in the description, ideally in the first sentence. Finally, add it to the Tags section. Include your keywords in the Title, Description and Tags sections. High-quality backlinks are still one of the most important ranking signals in Google’s algorithms. So treat your LinkedIn and SlideShare accounts like your website and try to get as many backlinks as possible pointing to your accounts. This tactic works wonders! As with all SEO activities, getting your LinkedIn and SlideShare assets to rank high organically in Google will take a bit of time, but it will be well worth your effort. Get started and have fun! What do you think? Have you tried any of these tactics? 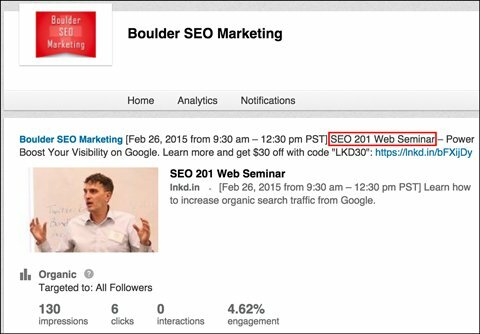 Have you improved your SEO with LinkedIn? What SEO strategies have worked for you with LinkedIn and SlideShare? Please share your thoughts in the comments below.